London is undoubtedly one of the best cities in the world for art lovers. The city’s vibrant art scene has long been established and the growing number of art museums means you can always find something you’ll fancy regardless of what you’re into. From the super trendy Tate Modern museum to the highly impressive British Museum, London is definitely the best destination for every art lover out there. And the best thing about it is that most of these museums are free for you to visit! If you’re heading to London soon, here’s a list of the best London museums that you should make sure to visit. 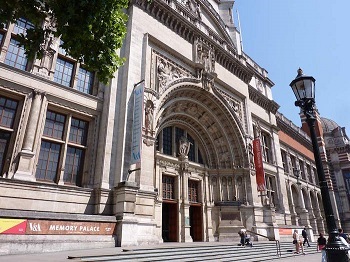 More popularly known as the V&A, the Victoria and Albert Museum is the most magnificent museum in London. Queen Victoria laid its foundation on site in 1899, which was her last official public engagement. The museum consist of 150 grand galleries spread in all seven floors and contains a massive number of ceramics, furniture, sculpture, posters, paintings, metal work, jewellery, textile, glass and many more. Some of the highlights include the Raphael Cartoons that was painted as a tapestry design in 1515 for use in the Sistine Chapel. The V&A is also known to house the finest collection of Italian Renaissance sculpture outside of Italy. Disability Access: Wheelchairs and walking frames are available at the information desk near the museum’s Grand Entrance. Price: Admission to the museum is free. Some exhibitions and events carry a separate charge. TIPS:If you wanted to make the most of your visit to the V&A, schedule a full day tour since there is just so much to see in this museum. The British Museum of London is home to some of the most interesting finds of famous British explorers. Opened in 1759, the museum is the first national museum that was opened to the public. Early exhibits feature the collection of Sir Hans Sloane, a famous physician and naturalist. His collection includes medals, coins, natural remains, and books. The galleries inside the museum are divided based on the periods in history and location, from China, Ancient Iran, to Greece.Although the museum is free to visit, you need ticket to view the exhibits. In this case, you may want to avail of the London Pass, which includes one ticket to the exhibition at the British museum. Disability Access: Easy access routes are available for visitors with buggies, wheelchairs and guide dogs. Price: Admission to the museum is free. 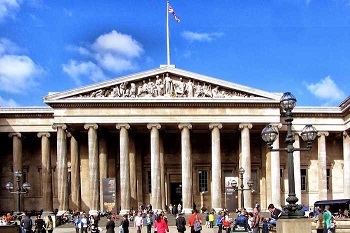 TIPS: As one the most popular attractions in the world, the British museum is often crowded with tourists, so try to avoid visiting during the peak times. If possible, time your visit during the opening time at 10 AM or visit later on a Friday, where the museum closes at a later time. The Design Museum of London is the world’s leading museum that’s dedicated to contemporary design and architecture. It covers a wide range of subjects, from fashion, architectural, graphic to industrial design. This fascinating museum features a lot of free temporary exhibits, bookable displays, and pop-ups. 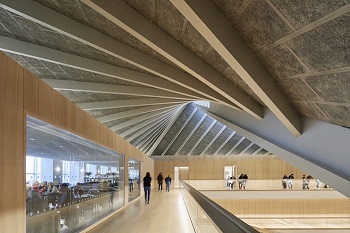 In 2016, Sir Terence Conran donated £17.5 million for the museum to be moved to its new location in Kensington and housed in a building, which is a design feat in itself. Price: Admission to the museum is free but ticket for temporary exhibitions has to be bought. Tickets to exhibitions are available at a concessionary rate for disabled visitors, with free entry for the accompanying carer. Disability Access: All areas of the museum can be accessed by lift. There is ample seating at the public spaces and assistance dogs are welcome. TIPS:Don’t forget to check out the giant 3D printer that’s in action at the museum’s top floor. Be there early before the area gets too crowded. 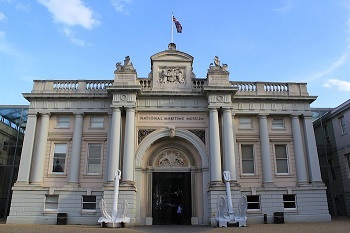 The National Maritime Museum is the leading maritime museum in the UK and showcases an unparalleled treasure trove of artefacts, art pieces, maps, and other interesting memorabilia. There’s an extensive gallery known as “Nelson, Navy, Nation”, which tells of a story that stems from the Glorious Revolution up until the defeat of Napoleon. The gallery showcases the shipbuilding activities including the battles and public adulation of Vice-Admiral Horatio Nelson. It also features historic pieces that reveal what life is for the sailors more than 200 years ago. Price: Admission to the museum is free, but special exhibition costs £10.35. Disability Access: All areas have accessible toilets and are wheelchair-accessible. Guide dogs are welcome across all sites. TIPS:If you want to avoid the crowd, avoid visiting during the weekends where it’s crowded with families and young students on tour. 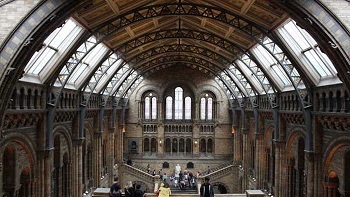 The Natural History Museum, which is located in the South Kensington, is home to about 80 million animal, plant, fossil, mineral, and rock specimen. This fascinating museum is also used as a world-class research institution filled with natural wonders. Here, you get to enjoy a close-up interaction with animatronic dinosaurs, as well as a man-sized model of a dod, giant sequoia tree, glow in the dark crystals, and even an earthquake simulator. TIPS:If you want to avoid the crowd, avoid visiting during weekends where it’s crowded with families and young kids. Adult tours are held around noon. 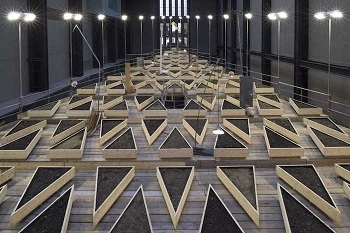 The Tate Modern is no doubt, one the best places for art lovers to visit. This museum, which is located in a riverside, is dedicated to all things contemporary and modern. It houses the world’s most iconic galleries boasting a collection of International modern and contemporary work of art. The imposing structure of the museum, which was built at the banks of the river Thames, was designed by Sir Giles Gilbert Scott, who also designed the Battersea Power Station. Along with the permanent collection of the works of Henri Matisse, Pablo Picasso, and Barbara Hepworth, the museum also hosts temporary exhibitions from time to time. Disability Access: There are parking spaces for disabled visitors at the Tate Modern. Wheelchairs, mobility scooters and walkers are available.